Tvitec System Glass is the leading architectural glass manufacturer in Spain and one of the largest in Europe. In just nine years, the company has become a reference for large construction companies and facade developers in the development of all types of solutions for glass enclosures. 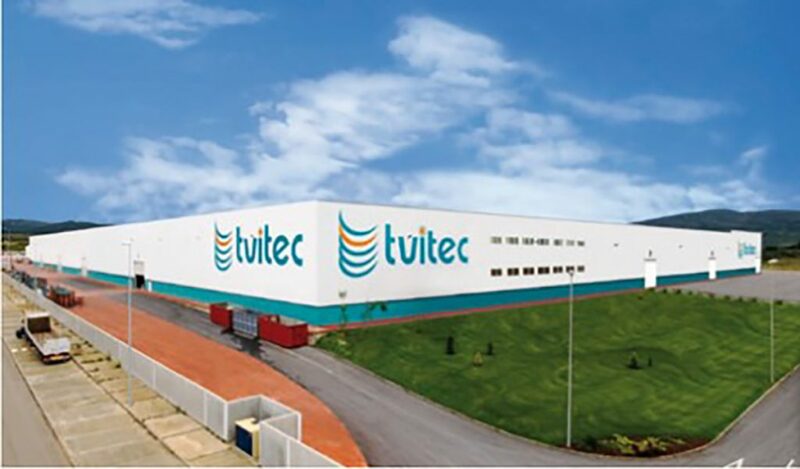 Tvitec has its main processing center in Cubillos del Sil (León), with a surface area of 85,000 m2. The company has the most advanced technology for the processing of glass for the unique construction. Tvitec is a specialist in the manufacture of double glazing, tempered, laminated and screen-printed glass. It is also a pioneer in the increasingly consolidated architectural trend of using technical glass with large dimensions, with a capacity to transform all types of pieces up to 12,000 x 3,210 mm. TVITEC is a recently created company, but has deep roots in the glass sector. Founded in 2007, in the same year it began ambitious investments to start up its first production center in Cubillos del Sil (León). This first phase of its implementation strategy began with the acquisition of a plot of 112,500m2 and an investment of more than 35 million euros and the creation of 150 jobs. In 2008 the plant was inaugurated with an initial surface area of 25,000 m2. In this first phase, two subsequent extensions were added in 2016, completing a factory of 85,000 m2, which has turned the Tvitec factory into the largest plant in Europe dedicated to the transformation of high performance glass. It is also equipped with the latest and most advanced machinery, such as a line for insulating glass up to 12 meters in length. The company has four other production plants in Villena (Alicante), Las Palmas (Canary Islands), Oporto (Portugal) and Sao Paulo (Brazil), all equipped with the latest technology. The company currently has over 500 employees. Since its creation, Tvitec has experienced a strong growth in sales, based, in addition to its national leadership, on the transformation of high performance glass thanks to its leading facilities. In 2016, its sales exceeded 92 million euros, with 70% of its turnover coming from the international market, with presence in more than 50 countries around the world. Background analysis and historical evolution of the market. Definition of objectives and time planning. Market structure, with special attention to the degree of concentration and the links in the value chain (main suppliers and customers). Internal analysis of the company: type of products, analysis of production processes, cost structure, etc. Financial plan and feasibility study. Search and processing of regional and national support instruments to finance investment. Technical assistance for the analysis of economic-financial, technical and market viability, and search and processing of funding for the industrial glass treatment plant.